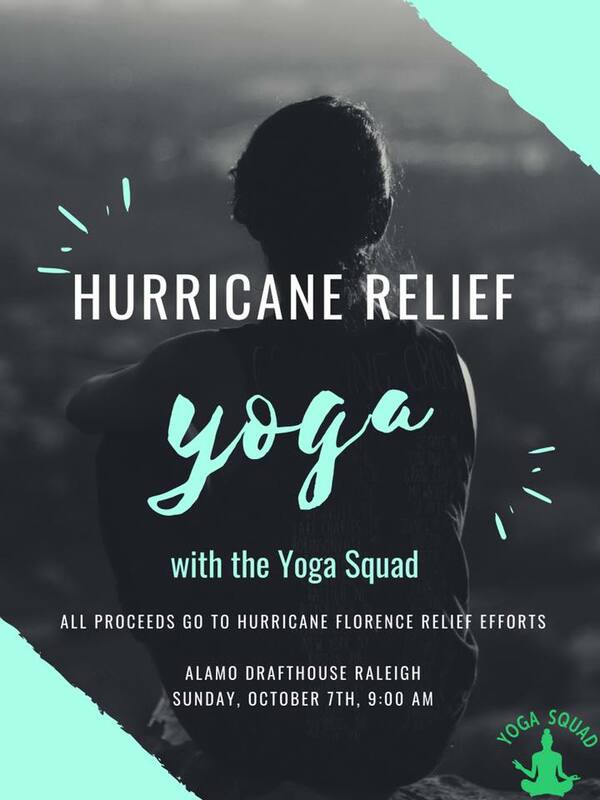 Join us at Alamo Drafthouse for a donation-only yoga class, to benefit those struggling in the aftermath of Hurricane Florence. Proceeds will go to Episcopal Farmworker Ministry. All levels of yoga are welcome, mats provided if needed. This is our state, our family, our friends, so please come donate any amount you can!